At the very moment his former head coach was being introduced at Wisconsin, Steve Pederson was let go as Pittsburgh’s athletics director. We wrote Friday that changed remained the only constant at Pittsburgh, and now that change extends beyond the head football coach up to the athletics director’s office. The Panthers will hire their fourth permanent head coach in roughly as many years in the coming days and weeks, and now a new athletics director will make that hire. The school also recently hired a new chancellor as well; Patrick Gallagher took over on Aug. 1. 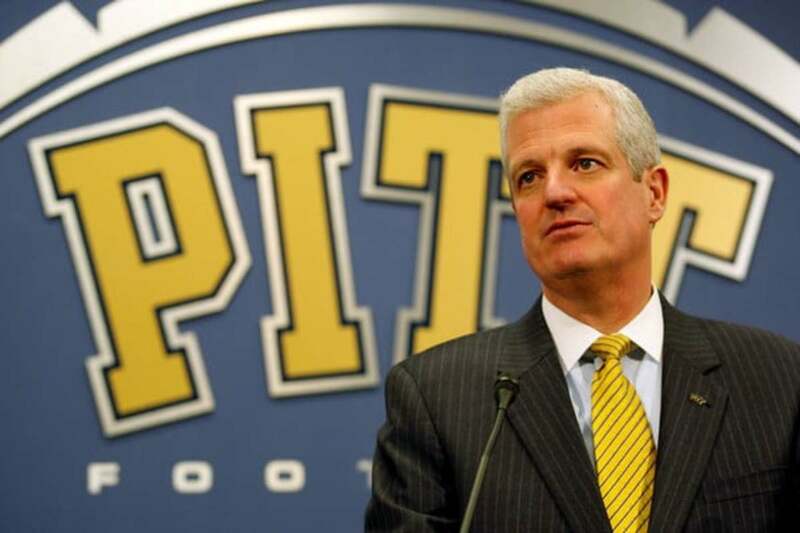 Pederson served as Pitt’s AD from 1996 until he left for Nebraska in 2002, where fired Frank Solich and hired Bill Callahan, and then returned to Pitt in 2007. Pederson helped the Panthers move from the Big East to the ACC and, among other things, issued a brand initiative to change the school’s identity from Pitt to Pittsburgh. My take; based on what I have heard, Pitt wasn’t pleased with direction Pederson wanted to go with the next coaching hire. Pitt will have competition in searching for its new AD as its Backyard Brawl rival West Virginia saw Oliver Luck step down to take a leadership position with the NCAA today. As always, check The Scoop for the latest.